Almost 4,000 motorists a day are fined for driving in bus lanes, with the most lucrative camera making 6,000 every 24 hours. Motoring organisation, the RAC, said the cameras had become a “cash bonanza” for local authorities. Councils say cameras are clearly signed and they expect income to fall as drivers learn to stay out of the lanes. In total, the local authorities revealed an estimated combined income of 31m for 2015-16. The figure is likely to be higher as some councils were unable to break down figures by individual cameras or lanes. The council revealed that between 23 February and 31 October 2016 it resulted in 62,975 penalty charge notices, making a total of 1.5m, equivalent to 5,960 a day. About 5,100 drivers caught in the first two months were then given refunds after it was found that signs were “inadequately lit” during the hours of darkness. Drivers and opposition councillors have said the road layout is “confusing”. 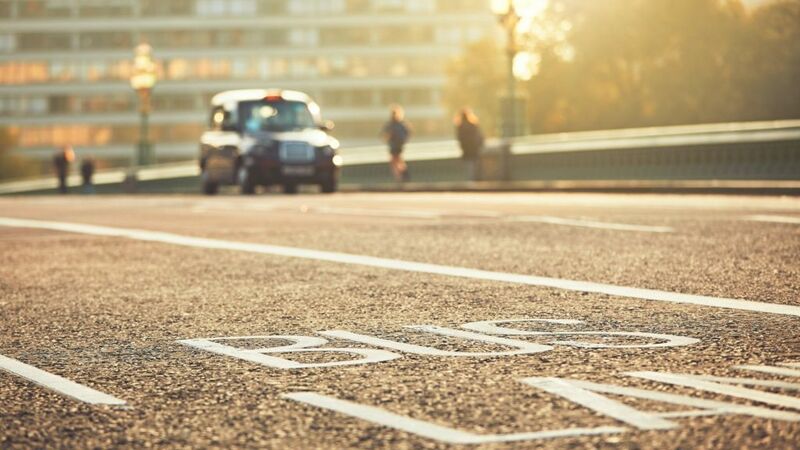 However, Newcastle City Council stressed bus lane cameras were not there to make money and the number of fines had dropped “dramatically” over the past year. 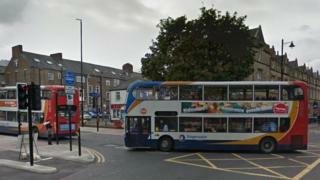 A spokeswoman said the bus lane was correctly signposted. She said: “Each year, nine million bus passengers travel along John Dobson Street, where services have seen a 14 per cent improvement in journey time reliability since enforcement started. In Wolverhampton, two cameras installed to stop people using a bus lane as a short cut were making on average 4,750 a day between them. The council said people had been misusing the lane when coming in and out of the rail station but that it expected the number of fines to fall following a recent change in the road layout. 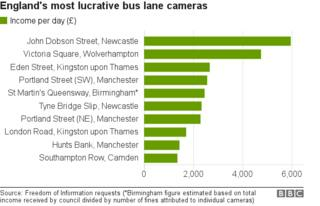 RAC spokesman Simon Williams said: “Bus lane cameras are fast becoming a new ‘cash bonanza’ for councils. The amount of money being raised by them in fines is frightening.